Two offices to conveniently serve you. Home » Our Doctors » LaMar G. Zigler O.D.,M.S.,F.A.A.O. 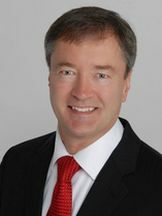 Dr. Zigler is a 1981 graduate of The Ohio State University College of Optometry. Originally from Bryan, OH, Dr. Zigler attended Bowling Green State University prior to his Optometry education. He gained early admittance into the Optometry program at The Ohio State University College of Optometry and graduated after just four years with a combined OD and Master’s degree. Dr. Zigler is a prominent lecturer and speaks extensively across the country on various topics related to contact lenses and laser vision correction. He has been a principal investigator for numerous studies conducted by the FDA during his career. Dr. Zigler has also held numerous positions with local, state, and national optometric organizations. Dr. Zigler specializes in difficult to fit contact lenses including Keratoconus and is credentialed in laser vision co-management. Dr. Zigler is a member of the American Optometric Association, the Ohio Optometric Association, and the American Academy of Optometry. He is a past chair for the Contact Lens and Cornea Section of the American Optometric Association, from 2011 to 2012. He serves as Board member for GP Len Institute. He also serves on the faculty of The Ohio State University College of Optometry. He served on the State Board of Optometry until 2017, governing all aspects of the profession and providing licensure to all Ohio Optometrists. He and his wife, Sandy, have three grown children and reside in Upper Arlington, Ohio. A doctor is available everyday at our main office.